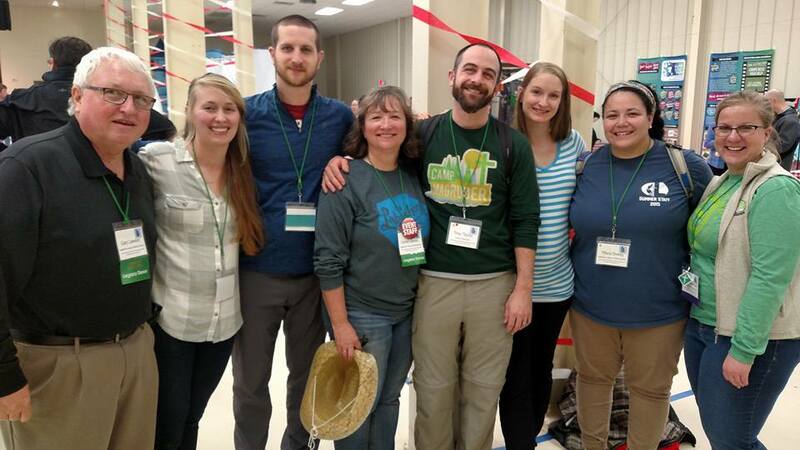 Last week, members of the Lakeshore staff journeyed to Palestine, TX to attend the National Camp Gathering at Longview Camp and Retreat Center. We went to attend workshops and hear speakers to help us continue to grow in our ministry. We worshiped and fellowshiped with 300 other camp professionals. All of us came from different backgrounds, focused on different programs, and needed to grow in different areas. How wonderful it was to be in this place with so many other people who understand the importance of camp! But the takeaway for the week for me was how truly special and unique the Lakeshore camp family is. Tiffany and I have said for years that this place is a training ground. Lakeshore is a safe place of acceptance, love and encouragement where people can ask questions, grow in their faith and discern a call to ministry. Vickie calls it the farm team. Over the years, we have trained generations of leaders to be equipped for this work outside of Eva, TN. Palestine was a family reunion, and one so joyful that other people started to notice the bond we had. Vickie, Gary, Tiffany and I were blissfully reunited with Troy and Ally Taylor, Hope Montgomery who serve at Camp Magruder in Oregon and Jonathan Gowan at Camp Sumatanga in Georgia. These relationships are more than ten years old, and full of hilarious stories, supportive hugs and real talks. This is just part of the family connection that runs so deep, but the thing I learned here is that the bond we have with each other is strong, even by camp standards. People from other conferences noticed and made comments to us about how wonderful and unique our friendships were. After an amazing week with each other, we stopped to visit another member of the family, Eva Pray, Dayshore Director for 2017. A senior at Texas Christian University, she is part of the next generation of spiritual leaders that has been encouraged by this place. We were able to catch up with her over coffee before we left town. After letting it sink in that the connections we have are so unique, I noticed that our conversations include questions like “How are you doing spiritually? What are your plans for next year? Is there anything I can do to help you achieve that goal?” We had similar conversations during the conference, deep questions about each other’s well being. We are a group that celebrates the highs and comes together during the lows, in a way more meaningful than any other group of people I have ever been a part of. I was truly blessed by the reunion with part of this camp family last week. How have you been blessed by the relationships you have developed here? What is your #campfam story? Next Next post: Camp Doesn’t Just Happen, It Needs Your Passion.